It has been over two years since the Android Market was rebranded as Google Play, but in all that time, Google never made a mobile optimized version of the Play website. 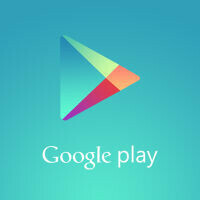 That has finally changed today as Google Play's website is finally optimized for viewing on a mobile device. This change has a few benefits for all users regardless of if you're on Android or not. If you are on Android, the benefit of the mobile website is for those with multiple devices, because you can use the site on your phone to install an app on your tablet. Of course, that may not be the most widely used case for the site. A bigger benefit is finally being able to browse the Devices section of the store, which has always been absent from the Android app. But, being able to browse and buy hardware through the mobile website isn't just a benefit for Android users. Maybe you own an iPhone, BlackBerry, or Windows Phone and you're looking to make a change. Now you can browse to the Google Play Store on your device and pick up a Nexus or Google Play Edition phone as a replacement. The design of the Google Play website looks essentially like the store itself, complete with hamburger menu and all. The site isn't quite as smooth as we expected, there was some lag and hiccups, but we assume it will get better as time goes on. Funny considering Matias Duarte stating that mobile is dying. He said that designing specifically for mobile is dying, and responsive design is the way to go. And isn't this site developed specifically for mobile? I am sure this move is for the new Android-Nokia users to make the download easier, but still not sure what kind of benefits Google will get but maybe it's only the percentage of the selling apps. Okay now make app optimized for tablets. but what's the point of using the website when you have the app?